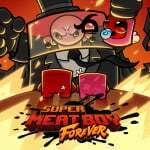 In 2017, Super Meat Boy Forever - a sequel to the brutal and bloody 2D platform game Super Meat Boy - was announced during a Nindie Summer Showcase. 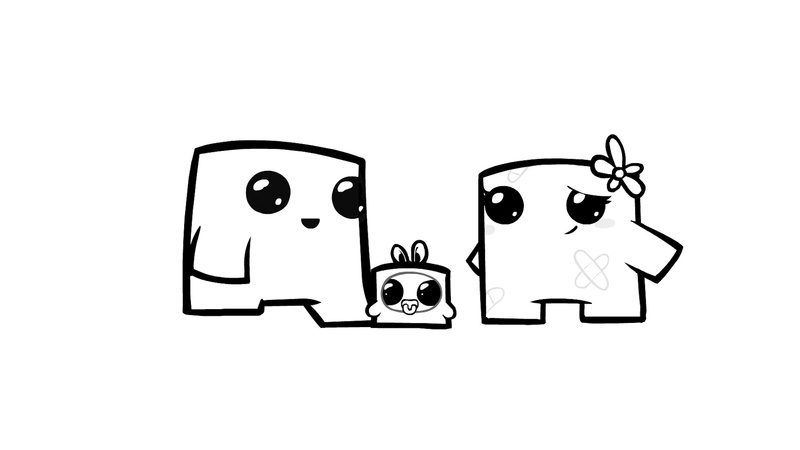 The game stars Meat Boy and Bandage Girl and tasks them with saving their baby from the evil Dr. Fetus. Team Meat was originally aiming to release this title on multiple platforms including the Switch in 2018, but the game was then pushed back to April this year. In unfortunate news, it's now been delayed again. Rather than work their butts off to meet this deadline, the team has decided to slightly postpone the release until after April. The next trailer the developer uploads will also include a "concrete" launch date. We’ve been knocking out the last bits of Super Meat Boy Forever at record speeds while keeping a healthy and sustainable pace. We are going to keep that pace which means we will not hit our April 2019 release. Sorry about that. We could have sacrificed our minds, bodies, and social lives to make April 2019, but that’s stupid. Team Meat isn’t some studio owned by an Evil [email protected]#$%t corporation that has say over what we do and how we do it. We are fortunate enough to have control over how we work and we choose not to run ourselves into the ground. Have you been anticipating this release? Did you play the original Super Meat Boy game on the Switch? Tell us down in the comments. I hope you didnt mean it that way (since they basically say it themselves, but make the joke clear), but this sounds super passive aggressive: "In unfortunate news, it's now been delayed again. Rather than work their butts off to meet this deadline, the team has decided to slightly postpone the release until after April." Maybe Im a bit biased, having worked in the industry previously, and known quite a few devs. Heck, maybe all the current controversies about said overworked devs has got me on edge, but damn that struck me as rude. I both loved and hated the first Super Meat Boy when it came out years ago, but that doesn't deter me from giving this one a try! I loved The End Is Nigh after all! @PhilKenSebben yeah just a bit of editing would have helped there. Oh come on now ! Everybody knows game devs rarely work more than a couple of hours a day. Their prime activity is to smoke blunts and eat nacchos while trying to figure out why Patti Smith sang "thirteen seasons" in the closing credits of Aqua Teen Hunger Force's final episode, when there was only eleven seasons produced. That's ok, April is packed with games! I'm impressed with how fully realised the art style and animation appears this time around! Everything now looks deliberate and oozing with surplus! They should take their time. That said, rage games like Super Meat Boy hold virtually zero appeal to me and so I doubt I'll be getting this.I might give it a go sometime whenever I feel like playing the video game equivalent of smashing my head against a brick wall again as I suspect that's what this one is going to be like as well. At least they actually made the game look good this time. I think the hand drawn visuals are incredibly well done...at least what I can see from the trailer. @PhilKenSebben I dunno, I interpreted that line as being sympathetic to the devs, as in 'at least they're not forcing themselves to work overtime, Rockstar-style'. I'm sure the writer didn't mean for it to sound insulting. Seems really nice and difficult. Always ready for a challenge! !